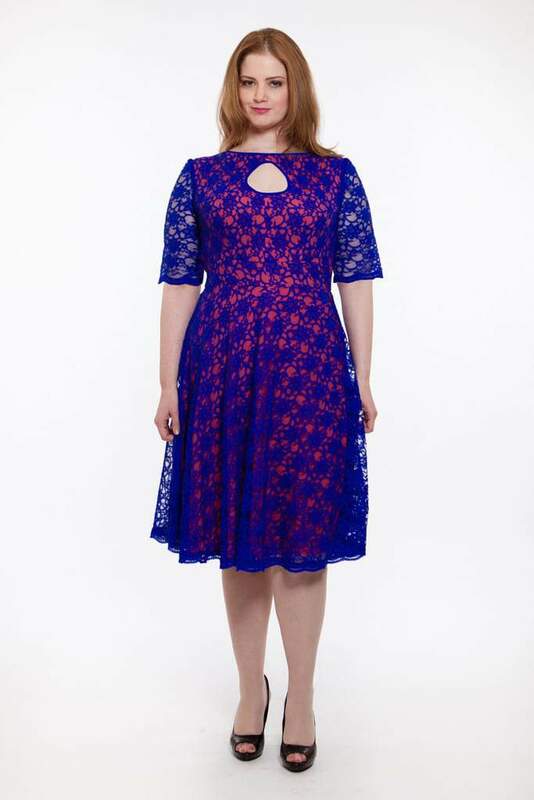 Loving the fun vibrant dresses from new plus-size designer, Poppy and Bloom. Poppy & Bloom has a great collection of fun, bright, printed dresses in sizes 12-24. They look like what you would expect when the name is Poppy & Bloom: fun and floral prints. The line was started by Lindsey Tabor, founder of Seattle based plus size boutique Trade Chic, and Svetlana Petculescu, of plus-size boutique Pionna.com. They joined forces with fashion designer Olga Szwed to bring high quality, stylish plus-size clothing to the market. Their dresses are available for pre-order now! Poppy & Bloom has launched a Kickstarter campaign so that their Spring 2014 collection can become a reality! It would also help them get their collection shown at Full Figured Fashion Week. They have a goal of raising $20K by Dec 18th. They have raised almost $5K so far. If you love what you see and want more head over to their Kickstarter page and help them out! I really love seeing new brands come up and out! And if we want more, here is the chance to support them directly! If you love what you are seeing, then throw your support to them! What do you think of the items shared here? Is this a collection that you can get behind?